This sensor board offers all the needed components to implement the Avago ADNS-9800 High-Performance LaserStream™ Gaming Sensor. High speed motion detection up to 150 IPS. I originally designed this for a trackball application, which is working great. I paired it up with a Teensy 2.0 from PJRC, which makes mouse integration super easy. I've also sold a few of the previous version of this board to students at universities who are working on robotics applications. They needed to be able to track the movement of their robot across the floor to see how far it has traveled. If you are using Arduino or another similar microcontroller that has a native 5V core voltage, you'll need to activate 5V mode by cutting the tiny traces between the three sets of exposed pads on the 3.3V side of the board and adding three solder bridges to the exposed pads on the 5V side of the board. I recommend an exacto knife. Please be careful not to cut any other nearby traces. Both sets of pads can be found on the backside of the circuit board. This is the most common issue that causes non-communication. Due to the sensitive nature of electronic boards and chips, returns are not accepted. All sales are final. J. Kicklighter was excellent in answering after-purchase questions. It did what it said. Por el momento solo puedo decir que me ha llegado en un plazo más que razonable... menos de 1 mes (a España) y muy bien empaquetado. Todavía no he podido hacer pruebas con el mismo. Si las pruebas son satisfactorias es muy probable que compre también el PMW3360. Shipping was super fast, the product was exactly as advertised and easy to get running. I had a small issue with the provided code. The 'serial' sketch uses an interrupt, and mine was only working sporadically. I contacted the seller, he replied within hours, and the issue was a bad interrupt pin on my arduino. I just switched interrupt pins and it worked well. I would definitely buy this again. The item received with thanks. Fast shipping, no problems. With these 2 changes, it works. Also kudos to JKicklighter for a rapid response to my question. 6 star support. Bought the product multiple times and always received the product on time. I had to do some customization and the owner went out of his way in providing technical assistance. Quick response to technical questions and detailed explanation of the product specifications. 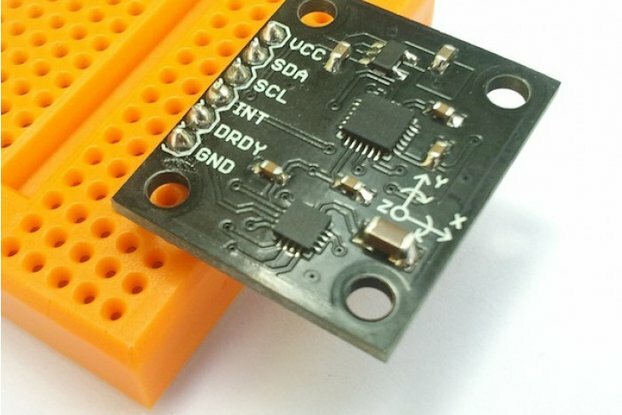 Really useful adapter board, but the sensor could be better. 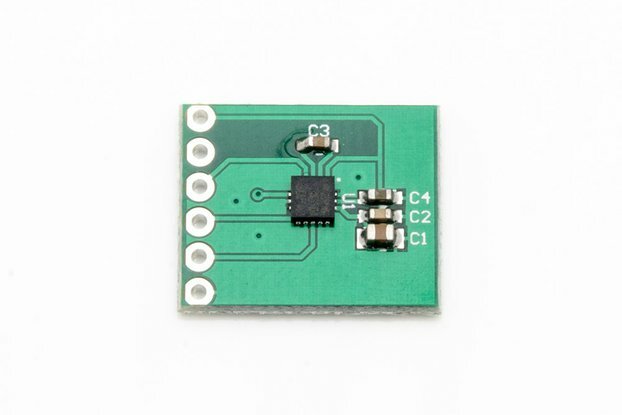 The adapter board is great and it allows the use of the sensor quite easily. It saves a lot of time. I would have thanked a little more detailed explanation by the seller (why 3 FWs and which one should I use?) although many reviews give useful hints and it's not hard to figure out yourself. The github code for the arduino sketch is, at the time of writing, not working. Due to some modification done in arduino, it's necessary to change "prog_uchar" --> "const unsigned char". I haven't been able to get all the accuracy I need from the sensor. Reading through gamers forums (which is an interesting resource for optical mouse sensors) I found out that this avago sensor (adns-9800) offers a resolution (counts per inch) that is not constant with speed (it varies up to ~5%). It's probably not a big problem for most uses, since speed will not be high, and it'll be pretty uniform. But it was a show-stopper for mine. So, for this to become a 5-star for me, it should use a different sensor. Apparently avago (now pixart) has some other sensors which offer better performance (LED instead of Laser, to my surprise). Two sensors arrived alive and well, in record speed. saved me a long and painful trip to the customs office. Both sensors are sending a signal, I'm looking forward to tinker with it. A simple but clever design that makes using the sensor much easier. 5v option is a nice bonus. When AGND of this chip is unconnected, it results in severe current draw and potential smoke release on part of voltage regulator, or the sensor itself, depending on circumstances. Extra care should be taken to connect both grounds. I think the design could benefit from having a solder jumper connecting AGND and GND internally. I doubt many people do implement proper GND mecca in their Arduino designs and those who do can always cut a trace. Firmware version A6 is necessary if you want to operate the sensor in the upper-spec mode, at CPI and FPS. The default setting is dynamic, optimized for mouse-like use. It's interesting that this sensor can actually track some surfaces without the lens assembly. This is the only person I've seen with this breakout board. Works great, and by far the best breakout to tell position and calculate distance that I've seen anywhere online. I got the board within a week and the documentation takes a little bit of technical knowledge but the Arduino code is basically plug and chug which is great for not-so technical people like me. Fine product, works perfect and the shipping to Germany was very fast. * clarity on revisions. It was unclear to me which version i had. Circuit diagram that i opened initially in the www documentation appeared to be from an older revision. * clarity on firmware revisions. Why are there 3 or 4 files with different chip firmware code? which one to use when? * clarity on the lens mounting / fixing. i used soldering iron to melt tip of plastic pins so that the lens no longer falls off. is that the way to do it?? The board, and the sellers code, both work great. I was up and running in 5 minutes. Shipped quickly, and was packed well. I am building a version of the DataHand keyboard with a 2 1/4" trackball fitted just below the finger cluster using the ADNS-9800 sensor. So far this development has gone as planned; I don't think I could have achieved my aim without this handy brakeout board. The only issue I have had is that the sensor does not pick-up the motion of a brand new Aramith cue ball reliably when the ball is moved fast. This may be an issue with the relative position of the lense and the ball which may not be sufficiently accurate or it may be that the ball is so smooth and shiny that there is not enough surface detail for the sensor to track. Either way, tracking is more reliable with a Kensignton Slimblade ball which has a metallic paint finish (but it is a smaller ball and cannot be purchased separately). I have now ordered a "golden 8" ball which has also has a metallic finish in the hope that it resolves the fast tracking problem. After a few problems in the beginning (communication paypal <-> tindie) all went out good. I use the product with an arduino uno to measure the speed of a small conveyor belt. The information given in this project help to get started with the adns 9800 (http://www.instructables.com/id/Arduino-Tutorial-ADNS-9800-Laser-Mouse-Traveled-Di/?lang=de) . The product itself came wrapped in bubble wrap and in a plastic bag. It is a quality manufactured product. We are design a electronic motion tracking module for handheld medical imaging probes (https://github.com/kbcutler58/ProbeTracker). 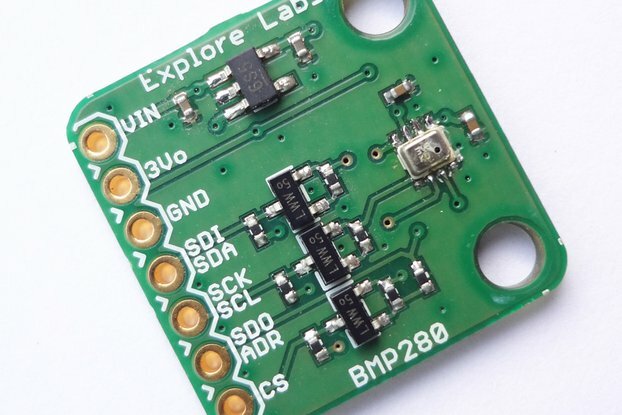 We are currently testing a design that uses this board as one of the components. The software that the seller has provided is a big help along with the firmware. I will be purchasing a few more for use in other prototypes. The hardware works as expected, and some example code is provided. From there on you'll have to mostly rely on the datasheet. The holes in the board are pretty close to some components, so the nut I used touches them. I checked in the schematic, and these points lead to the ground pane anyway, AFAIK. One weird thing is that something in the setup is producing a high-pitched noise when the sensor is moved. Possibly something in the SPI bus? It's silent-ringtone kind of high, but not very loud. We purchased one unit and quickly had it up and running with an ATMEGA88. This is a quality manufactured product, you can't do better. It is cost effective and saves you many hours trying to source the parts and make a circuit board to mount it. feature and 16 bit X-Y position registers. The board's quality is excellent! 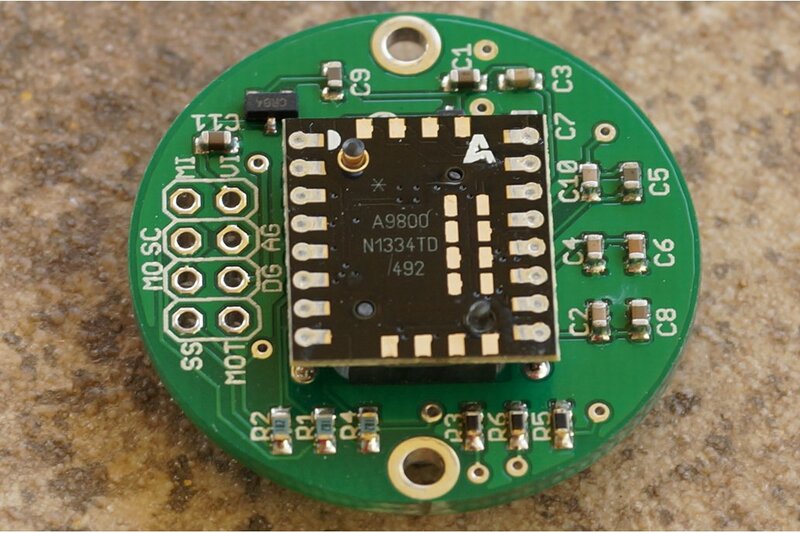 If you use the sensor in a 3V3 environment like in combination with an STM32F4xx, you can simply connect it to your existing application, write your own source code (or port the existing Arduino code if you prefer that) and you're done! In contrast to the ADNS2610 that I previously used, this sensor delivers very accurate motion data at a much higher resolution. In combination with some simple maths, this sensor enabled me to really improve my robot's motion control and navigation system. Sensor board works pretty good. 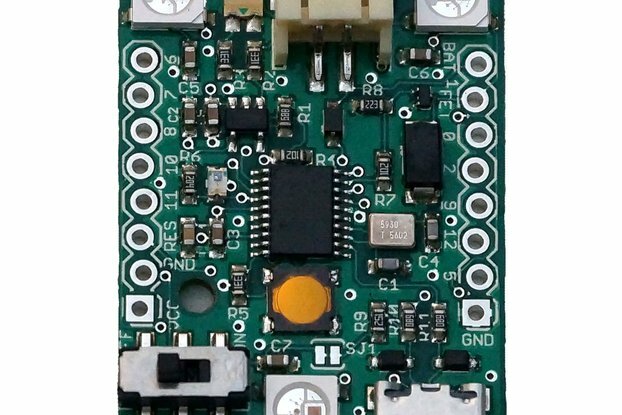 Board is designed to accommodate sensor's I/O voltage (3.3 volts max.) and can work with 5V as well as 3.3 Volt logic chips. This is pretty convenient. Chip itself is very fast, runs at 49 MHz and does the job excellent. Highly recommended. Great product.. shipped fast as expected. Will buy again definitely. Both that I have ordered arrived promptly and function well. It worked much better than my dead-bug proto-board attempt. I'm interfacing it via an MCP2210 connected to a small linux computer using the mcp2210 driver I developed https://github.com/daniel-santos/mcp2210-linux). Hopefully, I'll churn out an spi protocol driver for the adns 9800 as well as the 3090 soon too. Pictured is my current prototype environment including John's ADNS 9800 board inside a little project box with two ribbon cables attached. Next to it is my failed attempt to make a prototype of the ADMS 9800 (I may have fried the chip or otherwise shorted something because it always reads a ground frault via the SPI). Also pictured is my current 3090 board (missing an oscilator, LED and transistor) and they are all attached to an MCP2210 breakout board.